A Celebration of Melody . Sacred Vocal. Published by Triune Music Inc.- A Celebration of Melody by Mary E. Caldwell. 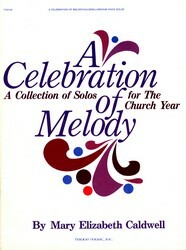 For medium voice solo. Sacred Vocal. Published by Triune Music Inc.